The author described himself as a "simple country boy" from Missouri, and to be sure, some of the advice in his blockbuster bestseller is pure cornpone ("If you want to gather honey, don't kick over the beehive"). 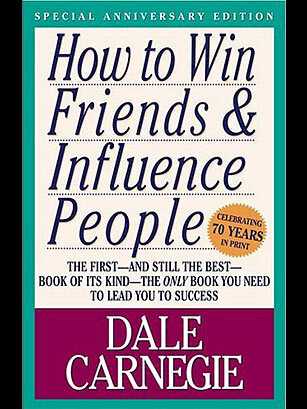 But Dale Carnegie was a wizard when it came to making the public like him. Besides buying more than 30 million copies worldwide of his Depression-era book, they broke down the doors of his educational programs, which also promised professional success and happiness. Carnegie's plain-spoken wisdom about how to advance career-wise still resonates with a sophisticated urban workforce. Perhaps that is because he was no hick when it came to understanding business behavior: "About 15 percent of one's financial success is due to one's technical knowledge and about 85 percent is due...to personality and the ability to lead people."